Zola’s naturalist approach is echoed in Marcil’s unflinching analysis of human behaviour centering on emotional detail and relationships in a social context. Marcil’s furious commitment, superb draftsmanship, mastery of colors & psychological insight contribute to a most communicative forceful presence that touches the senses & challenges perceptions. Presented in a reader friendly format, the book offers an entertaining & enriching experience. 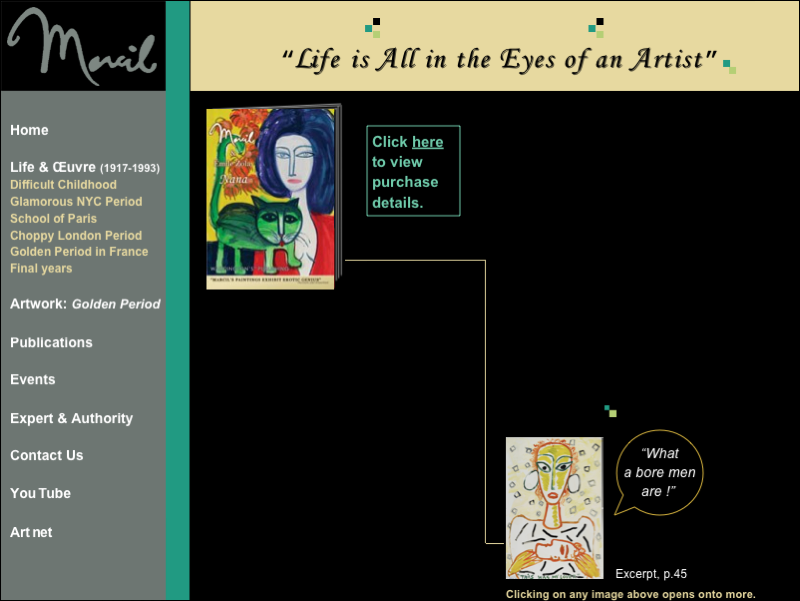 Thematically assembled as a story & interwoven with the artist’s own life, the collection reflects Marcil’s obsession with inner psychological states & the truths underlying male female relationships.